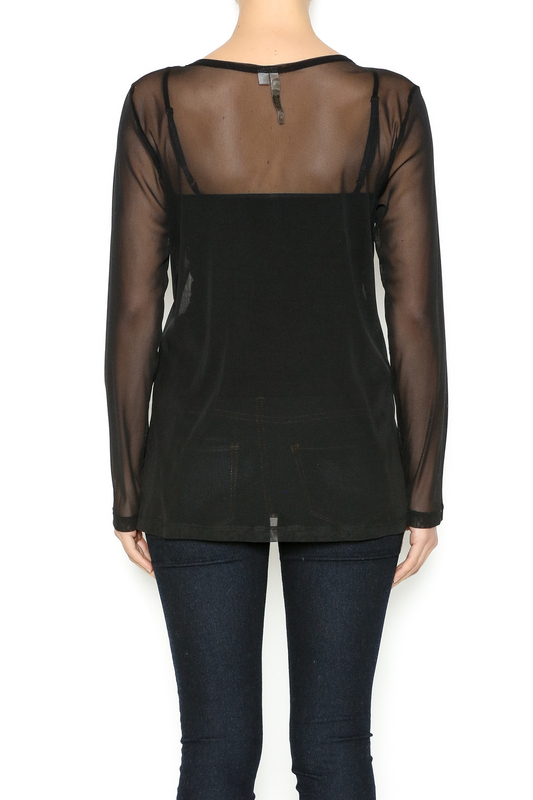 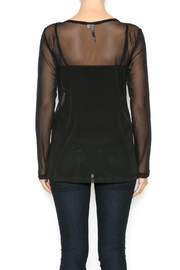 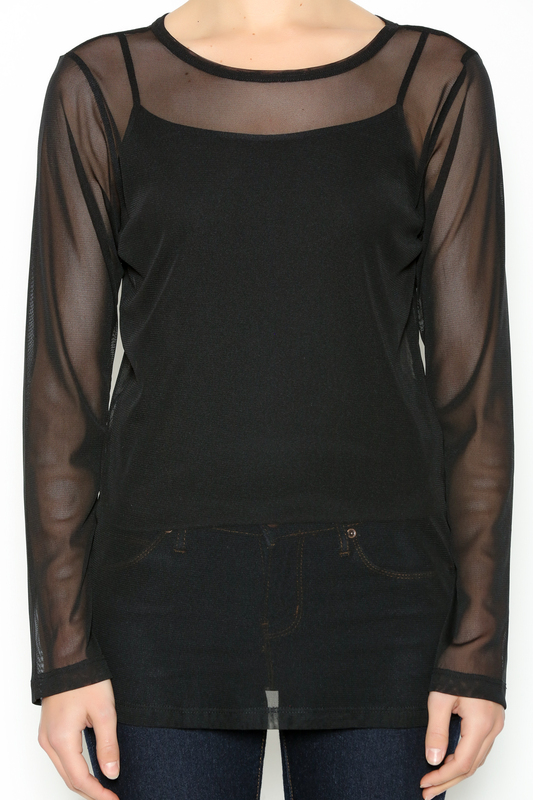 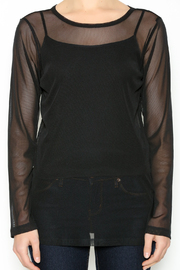 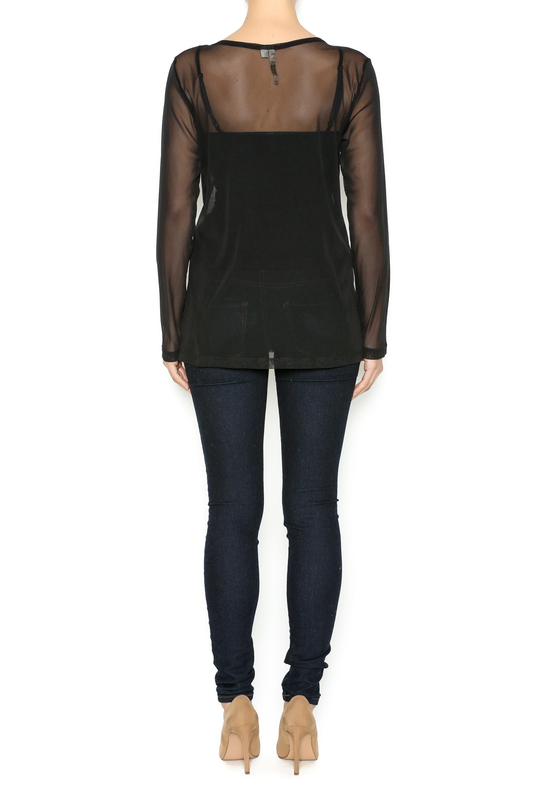 Long sleeve black t-shirt that is completely sheer. 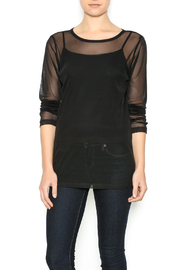 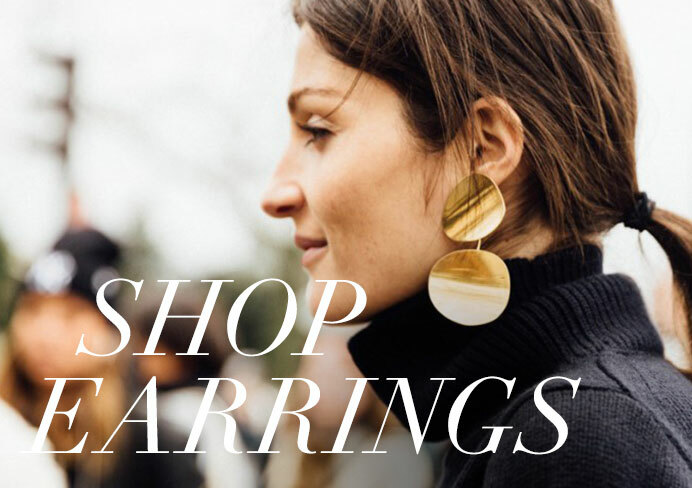 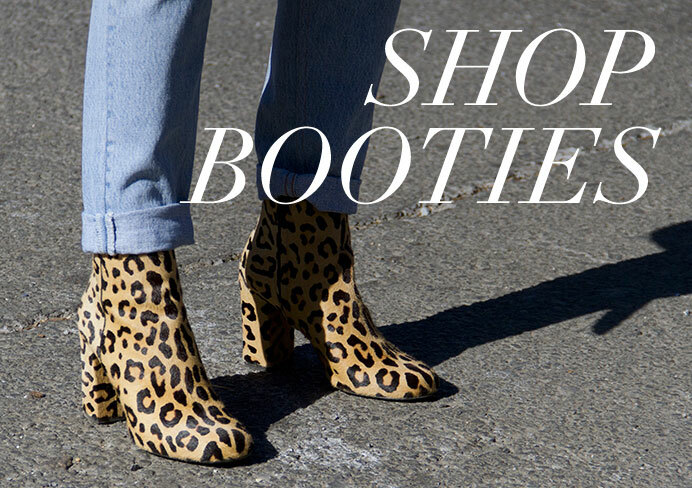 Model is wearing size M. Model's height 5' 8", bust 32", waist 25", hips 34". 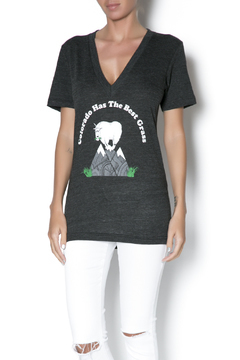 "Colorado Has The Best Grass" mountain goat t-shirt is designed and printed in Fort Collins, CO. Get laughs with this quirky t-shirt! 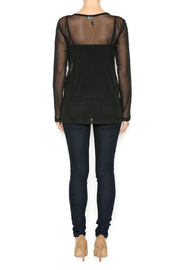 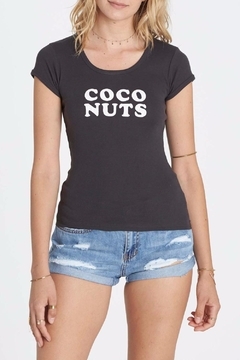 For a cool weekend outfit wear this tee with boyfriend jeans, booties and big sunnies.